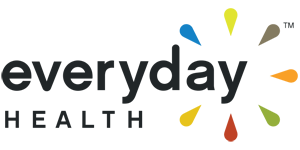 Last month I spent about an hour chatting with writer Maria Ricapito from Everyday Health. She reached out to me about featuring me on Everyday Health to share my health story of living with RA while working as a makeup artist in the industry. Usually, I’m the one who’s sharing about my health (Lupus & Lyme) on my blog and all of my other social media pages to followers who really are interested in my story. I always find people who don’t know me tell me that I inspire them, I give them hope and I show them that being diagnosed with a chronic illness isn’t a death sentence even when there are lots of days it feel that way. I gave a lot of tips on how I get thought my work days by using certain products, doing little tricks, and how I manage to stay stress free on set. That’s one thing I had to learn to give up, STRESS and that’s including people. I shared with Maria my must have items to help me to maintain stress free days. And if I can share one thing with someone who may be new to hearing me speak. When you start to feel like something is wrong, SOMETHING is wrong. You have to be your own advocate when visiting doctors. If you don’t feel like your doctor is not understanding you, it’s ok to find another. Get a notebook, start documenting everything. Don’t let people tell you that your to young, your depress, your stress, and any other reasons. You know your body better than anyone else. Fight for blood work and not the basic pregnancy test, diabetes test, and thyroid test. So here’s the article, I hope you enjoy it and learned something new that can help you or a love one….Thanks Maria and the editor at Everyday Health for selecting me. Great article! I wish more people with platforms share more about what it’s like living with a chronic illness. Lupus, Lyme and RA are very hard for us in the medical field.